The United States has not changed any boundaries or borders since 1959, when Hawaii became the 50th to join the union. That’s quite a long time to go without there being any state disputes. If you were born before or around 1959, and you now feel old, I am sorry. It just seems like a long while without any conflict. Who else has been in a similar situation? My first thought was Canada, because they seem very calm, very mellow, not one for any sort of dispute. But in 1999, the newest territory, Nunavut, split from the Northwest Territories due to wildlife conflicts. Yes, the split was over nature. But it still counts! Since splitting, Nunavut has focused on increasing tourism for those who love the outdoors, specifying their fishing industry. So what did they do? They got a fishing mascot! People, this is why Canada is ahead of us now. They know the importance of mascots! 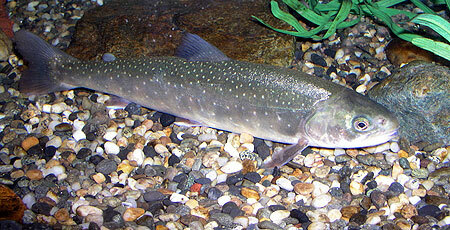 This is Charly, the Arctic Char. 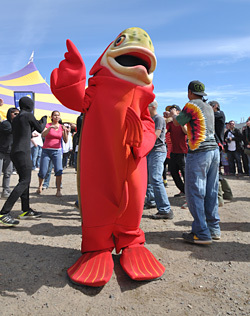 Representing sport fishing in Nunavut, this odd fish is known to break out in dance during flash mobs. And Charly is a whole lot cuter than this guy.